Lt. Gov. Shan Tsutsui said Friday that he will not be running for Maui County mayor in 2018 due to family reasons in an announcement that throws open the race to succeed Mayor Alan Arakawa, who is term limited. The only Mauian in state history to serve as lieutenant governor was considered a front-runner in what is shaping up to be a crowded race for mayor with notable names. Council Members Don Guzman and Elle Cochran and former Council Member Michael Victorino have made public statements announcing their intention to seek the county’s top office, and others are expected to join the race as well. “I’ve decided I won’t be launching a campaign for mayor,” he said Friday. He won’t be running for governor or re-election as lieutenant governor, either. Nor will he seek a seat in the state Legislature, including that of former House Speaker Joseph Souki, who is said to be considering retiring, should it become open. Tsutsui represented the state Senate district that encompasses Souki’s House district before becoming lieutenant governor in late 2012 in the wake of the death of U.S. Sen. Daniel Inouye. He was elected by the voters as lieutenant governor in 2014. “Long story short, I want to try to focus on my two babies I have at home,” he said. He and his wife, Lyndelle, were hit by an epiphany when dropping off their eldest daughter, Mikayla, at Oregon State University. For 15 of Mikayla’s 18 years, Tsutsui has been serving in the state Senate or as lieutenant governor. He has been in public office for the entire lives of his daughters Kaylee, 14, who is a freshman at Baldwin High, and Kenna, 9, a 4th-grader at Kamehameha Schools Maui. Work has kept him on Oahu many days. As lieutenant governor, he spends most weekdays on Oahu. Tsutsui bumped into Arakawa at a Saturday event once, and the mayor mentioned that it was the first of 11 appointments he had that day. Not committing totally to being mayor is not an option either. “Anybody seeking that office has to have that commitment, and I expect that I would be doing the same thing, which in turn would mean that I am not spending time with my family,” he said. This was a decision that he and Lyndelle made together. He extolled the virtues of politics, saying there is “an opportunity to make a difference, a positive change . . . to really have a footprint in term of changing things, hopefully for the better. It is the right decision, though, he said. The lieutenant governor plans to serve out his current term. There was some thought he might resign to begin his run for mayor, which would have set in motion a similar political chain of events that led him to becoming lieutenant governor under then-Gov. Neil Abercrombie. Senate President Ron Kouchi would have been first in line to succeed Tsutsui. 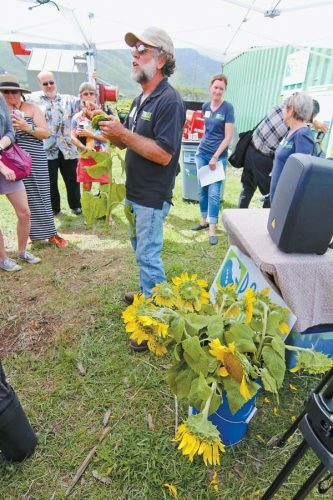 He plans to continue his work in the farm-to-school and REACH middle school after-school programs and the redevelopment of Aloha Stadium. After that, “I don’t know what I’m going to do . . . but I still have over a year. 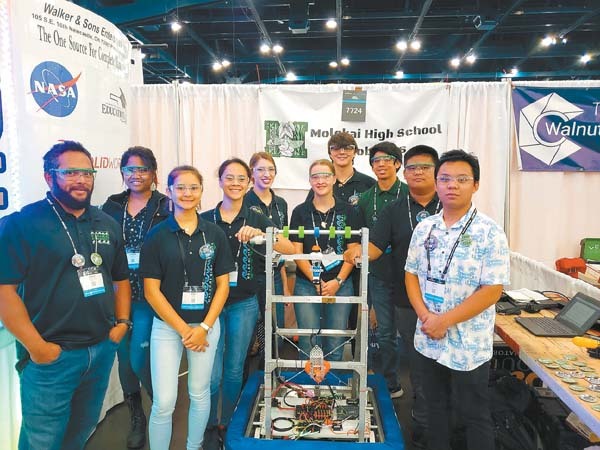 Tsutsui expressed respect for the work of nonprofit organizations in Hawaii and “that could possibly be something that would interest me at some point,” especially if it involved working with children. “I just love kids and if there’s ways I can combine the two, kind of a natural fit, but we will see,” he said. 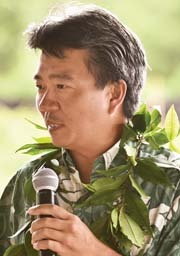 Before winning his Central Maui Senate seat in 2002, Tsutsui was a financial adviser and ran a business with his wife. He said that he is not sure if he wants to return to business and has not really thought about that option. “You never say never in politics,” he said. Although bowing out of the mayor’s race, he offered a glimpse of what a Tsutsui mayoral administration might have looked like. Tsutsui said there is a divide in the community, and he hopes the next mayor works hard to bring the diverse elements of the county together. The lack of civility and a focus on personalities rather than the issues helps fuel these divisions. “We are still part of the same state and part of the same community,” he said. “I just wish we could have some of the personalities kind of pushed to the side so that people can be more focused on the work. “So what I’d like to see is we start focusing on issues as opposed to people and personalities and tying an individual to a particular point of view,” Tsutsui said, adding that while there may be disagreements on one issue there may be agreement on others. There is too much “labeling,” like pro-development or anti-development or pro-GMO or anti-GMO, which puts up dividers, he said. “I think we have way more in common than people would like us to believe,” Tsutsui said. He thinks that approach of inclusion and accountability helped him become Senate president in 2010. The views of all parties can help forge good policies, he said. However, the debate has to focus on facts and the issues rather than labels (such as union member, newcomer or lawyer) and assumptions tied to those labels. The polarization in the community arises from a lack of communication, trust and understanding, and developing those elements takes time, he said. Leadership is not about trying “to reduce others’ abilities or try to bring them down,” he said. “I’ve always taken the approach good leaders try to raise the bar. An endorsement from Tsutsui likely is coveted by gubernatorial and mayoral candidates, and he said there is a possibility that he would offer one. Though it’s too early to make endorsements, he said that the Democratic Party gubernatorial race is shaping up as a clash of powerful candidates. Tsutsui’s boss, Gov. David Ige, is facing a challenge from U.S. Rep. Colleen Hanabusa. Tsutsui said that he has not been approached by either candidate for an endorsement. “I have a lot of respect for him, but I think we have a little bit of different styles and I respect that,” he said. “He is the governor and his approach on things, while I may have done them differently, at the end of the day, he gets to make those calls. “I don’t have any hard feelings,” he said. 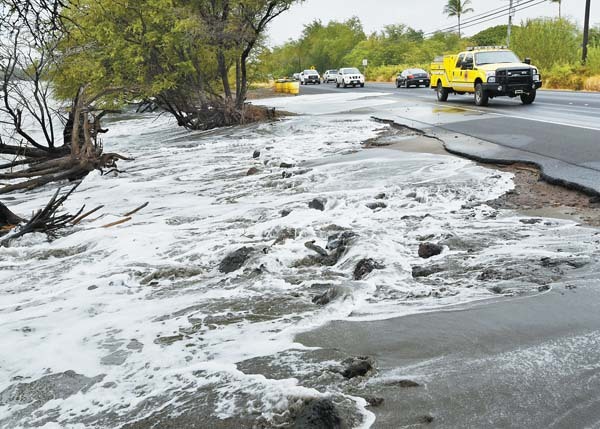 Tsutsui has been effectively sidelined on many issues, even those involving Maui County, such as the privatization of Maui County hospitals. 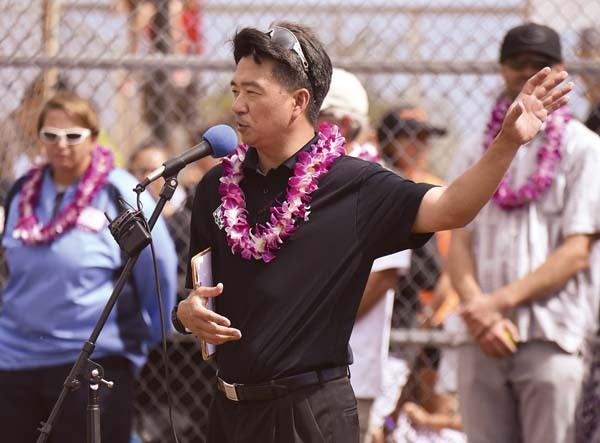 When Abercrombie, whom Ige defeated in 2014, wooed Tsutsui to replace then-Lt. Gov. Brian Schatz, he promised him an active role in his administration and even set up a Maui office for him. Had Abercrombie been re-elected in 2014, Tsutsui said he might be considering a run for governor with the office open. But he said he would not run against Ige. “When you get into public service, you’d like to be involved in everything,” Tsutsui said. “So, personally speaking, I’d like to be involved in everything, especially when it had to do with Maui County. So whatever the issue might have been, whether it was the hospital or whether it had to do with land use issues or whatever might have been affecting us, I definitely wanted to be making the decisions. “That’s the way it is when you a minority shareholder,” he added with a laugh. Having worked under two governors, Tsutsui believes it would be beneficial for the state to let the party gubernatorial representatives in the general election select their running mates. This will allow for greater synergy and the selection of a running mate with a complementary skill set. “They could be a better asset to the administration,” Tsutsui said, adding that he has submitted a bill calling for the change. * Lee Imada can be reached at leeimada@mauinews.com.